Designed to fully integrate with your iMac, iGo is ever ready to swirl and squeeze into any space, it allows you to work and play according to your moods, without compromise on the aesthetics of your environment. Turn your iMac with a light push of a finger with the built-in i360 turntable. Keyboard panel with adjustable height and depth. Interchangeable for left or right hand users. Halo lamp for showcasing your iMac or typing in the dark. 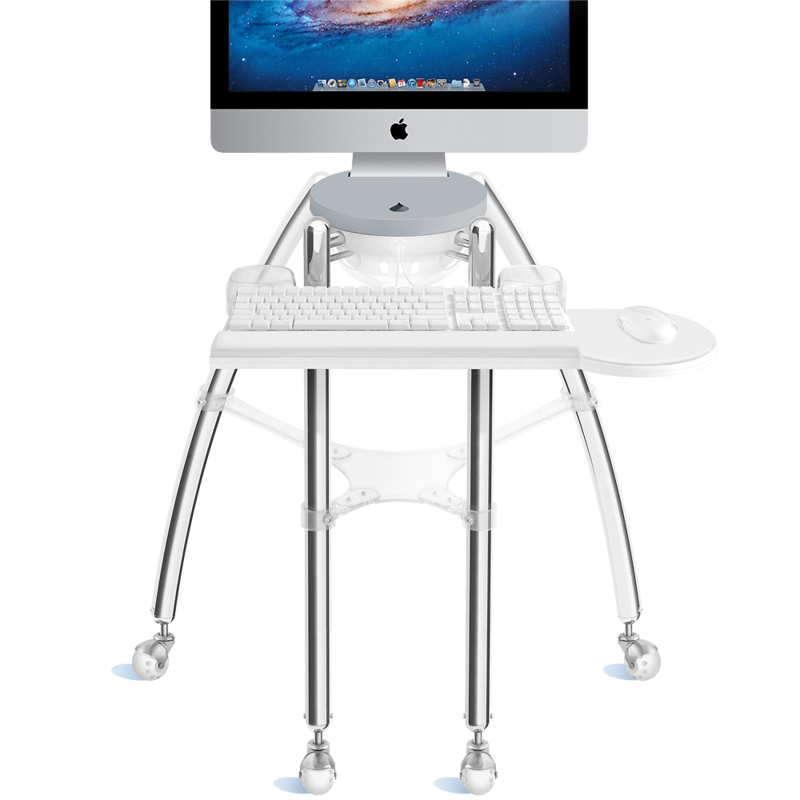 Cable compartment keeps tidy and easy access to ports behind your iMac. Work comfortably with the included gel-filled wrist rest, mouse pad and coffee cup holder. 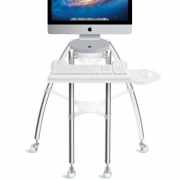 Two models: for 21.5-inch iMac and 27-inch iMac/Thunderbolt Display.